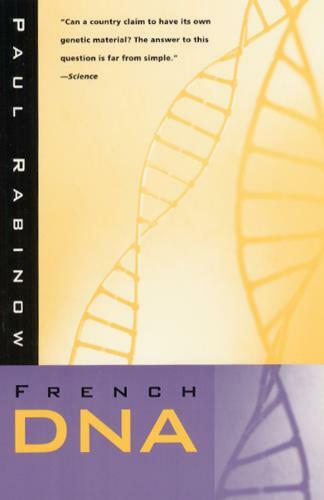 Is there such a thing as "French DNA"? Can a country be said to have its own genetic material? When that country is France, as Paul Rabinow discovered, the answer to both questions is "yes". In a story that involves nations, commerce, patients and genetics, Rabinow seeks to uncover the tangled relations and conceptions that govern modern medical research. In 1993, an American biotechnology company, Millennium Pharmaceuticals, and France's genetics lab, the Centre d'Etude du Polymorphisme Humaine (CEPH), developed plans for a collaborative effort to discover diabetes genes. The results of this collaboration could have been medically significant and financially lucrative. The two companies had agreed that CEPH would supply Millennium with a store of genetic material collected from a large number of French families, and Millennium would supply funding and expertise in new technologies to accelerate the identification of the genes, terms to which the French government had agreed. But in early 1994, just as the collaboration was to begin, the French government called a halt to the deal. The government explained that the CEPH could not be permitted to give the Americans that most precious of substances - never before named in such a manner - French DNA.